Worlds are colliding. Planets that used to orbit each other from a safe distance, looking quizzically across the void, now need to work together. 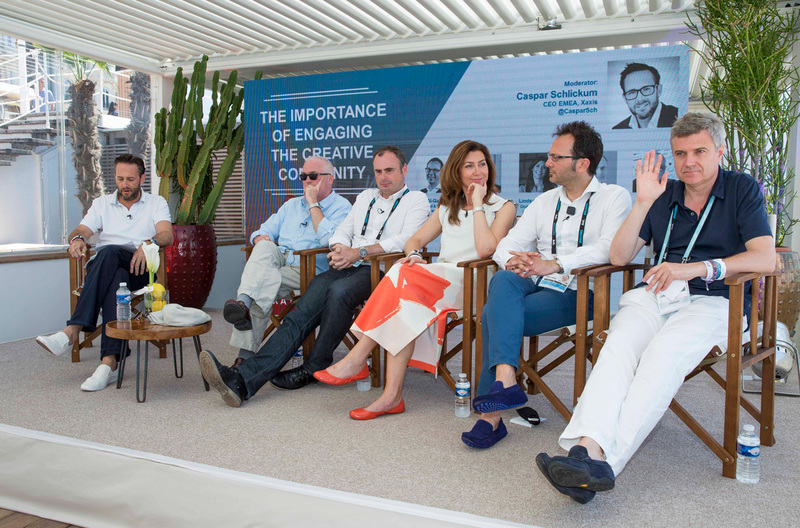 Data, technology and creativity are converging – and it’s this uneasy union, or dramatic collision, that was at the heart of The Programmatic 401: Creative Convergence, hosted by Xaxis on La Plage du Festival in Cannes. Xaxis gathered adland’s top minds for a lively series of panel discussions and presentations. 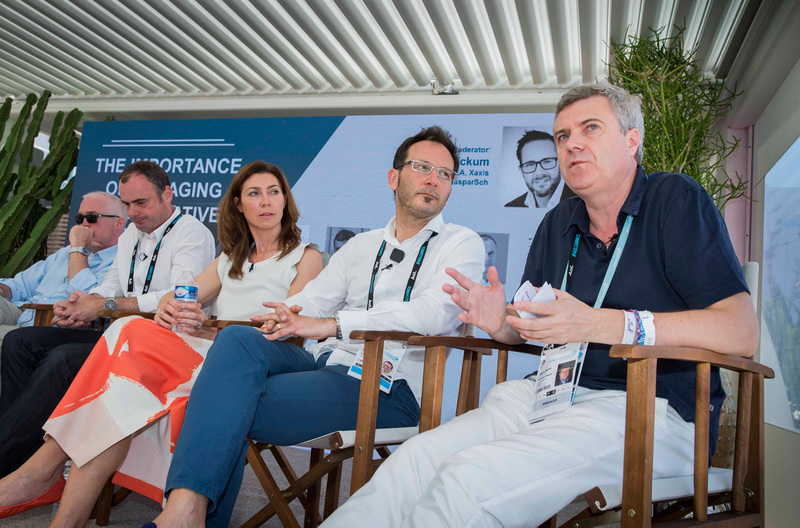 They argued how the industry must harness the powers of these mega-worlds successfully: convergence will lead to new opportunities and challenges for advertisers – more compelling experiences for consumers and greater return for brands. But get it wrong and you head down a path of ad-blocked oblivion. Caspar Schlickum, Xaxis' EMEA CEO, explained the thinking. "If data or tech is going to play its role in marketing, we need to engage with creative side of the business. How does programmatic make us not better advertisers – but better marketers?" Three distinct themes emerged from the sessions. First, the importance of bringing – or re-introducing – a human element to creativity in a data-driven world. Secondly, the need for a new openness between data/tech teams and marketers. And finally, how are data and creativity really coming together, whether it’s happening fast enough and how’s this going to impact everyone’s businesses. 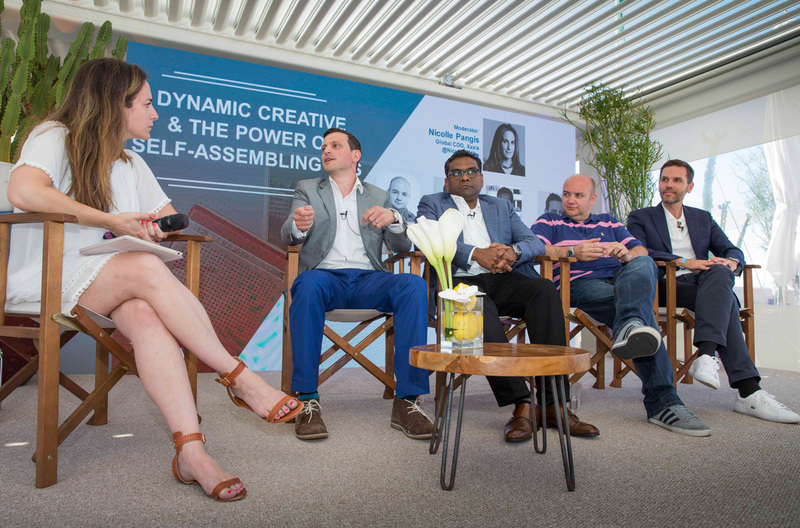 Across the discussions, interviews and presentations, the panellists and contributors agreed that although data and technology are vital components of any modern campaign, they are tools to help the human creative spark. But, the collaboration between the data-driven side of the industry and their creative counterparts is still embryonic – with both sides still prioritising their own needs. John O'Keeffe, worldwide creative director at WPP, sees data as a starting point from which creatives can draw insights. "We’ll always need great creative ideas. I keep saying to my friends at Facebook and Google ‘when you can write an algorithm that says, ‘Market, that sounds a bit like meerkat,’ then I’ll hang the pen up’." The job of advertisers and marketers is to make an increasingly complicated world more streamlined and compelling, said Zaid Al-Qassab, chief brand and marketing officer at BT. "That we can target more discretely doesn’t mean there aren’t huge compelling ideas out there – and they are always the most powerful ones because they’re based on human truth." For data-driven marketers like Diaz Nesomoney, global CEO of Jivox, new technology has forced a change in their approach to building ads. "When you get into the hundreds of thousands of creative combinations and assets – we’re running a campaign that has 500,000 variations – humans cannot build that. The idea of automating the assembly of the creative itself – and being able to do it at scale – is a big deal." Jos Pamboris, chief product officer at Flashtalking, emphasised the importance of having a strategy in place before resorting to the ‘tactics’ of programmatic creative. "Ultimately we are an enabler of tactics. Those clients who actually see where they are now, where they want to be, they create their objectives, they build their strategy: they’re the ones who succeed with our programmatic creative." Sir Martin Sorrell, who finished the event with a compelling discussion with Brian Gleason, Global CEO, Xaxis, suggested that rather than data affecting creativity or the other way round, it’s actually turned the whole process on its head: "In the old days you used to have a planner to lay out the brief, then a creative department to bring the big idea, and at the end the media thing fell off the back of the wagon." Now, he said, data takes precedence in the pitch: "out of that comes a media plan and out of that an execution. Essentially a lot of the ideas are changed to reflect the media being used." 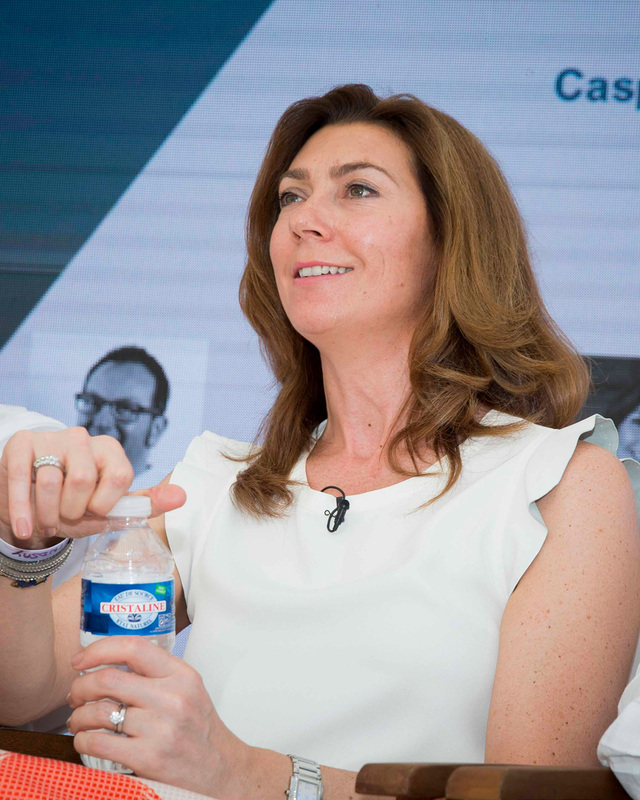 But there are signs that the two sides of the business are beginning to talk the same language with Nicolas Bidon, global CEO of plista highlighting the importance of the human creative element. "Data is just a way to inform," he said. "Our industry is about emotions: joy, interest, surprise, compassion. Data can help you inform how you do this, but you still have to be a human and have a great idea how to tell that story to have an impact." To make the most of the creative potential of data and programmatic, brands and agencies need to break down barriers and silos. With this in mind, Michael Rubenstein, president of AppNexus, heralded the start of a programmable age of marketing. In this new era, companies will develop technologies on other platforms to reach consumers, apply learning algorithms to gain insights and stream data in real time to create timely interactions with consumers. For Rubenstein, this means a change in approach to how agencies handle data. "There’s a lot of discussion in the industry today about walled gardens versus open ecosystems," said Rubenstein. "In a world in which you’ve got eight billion consumers, 34 billion devices, hundreds of thousands of marketing conversations happening… you have to have control over your own data to have the most impact across this world of ubiquitous internet." Nesomoney pointed out that the sheer volume of data being generated necessitates an open approach: "From a practical standpoint, the data isn’t in one place, and can never be – because it’s being generated in so many different ways that the costs of pulling it together outweigh the benefits." He added that the IAB is working on new standards for integration. "Once those come out it’ll allow independent pieces of software to use those standards to communicate. The better integrated they are, the better the outcomes." This siloed data disrupts consumers’ digital journey, said Lindsay Pattison, global CEO of Maxus: "We need some effective frequency that works across walled gardens. Unless you have the right technology stack, you can’t follow people’s journeys." Unique IDs present a barrier, she added: "We need to make sure we’ve got technology that allows us to see across the space and have interesting, seamless conversations that people expect from brands." Yet Matt Pritchard, global head of digital media at GSK, warns against the apparent opaque complexity of technology that can breed mistrust and a lack of interest in brands. "We [marketers] say: ‘This is all too complicated.’ What we have to do as an industry is make this simple. Being a marketer in the 21st century is harder than it was five years ago, or 10 years ago, and certainly 50 years ago. We have to take those decision makers on the journey and make them understand the point of it. And try to make it as simple as possible." 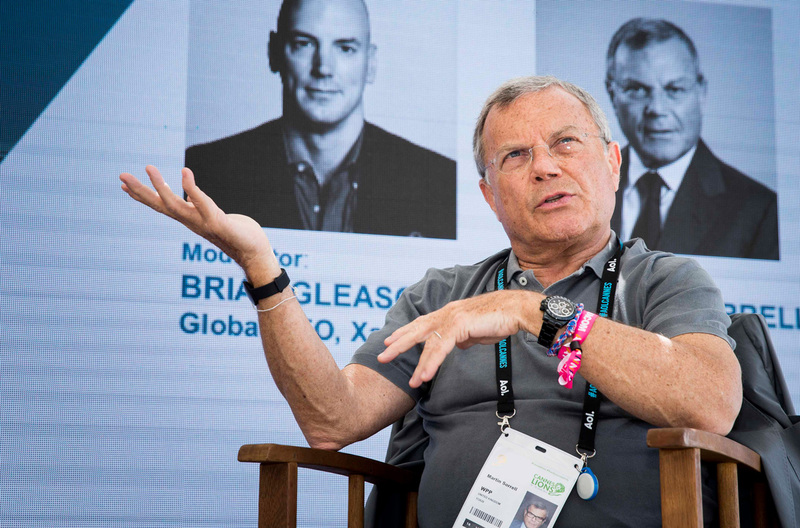 Sir Martin Sorrell took an intense look at his own business as well as the industry: "What we’ve got to do is integrate effectively. WPP has to be more unibranded. Whether WPP is the right name, it has to be more like a McKinsey or a Goldman. We have separate brands because of client conflict and people conflict." "Good people think they know best. People think that to be good, they have to be difficult. They like their brands and their verticals and their silos. The younger people, the less experienced, they thirst after the knowledge, contact, working together. The people at the top want to protect turf, territory, egos." But this isn’t sustainable, he argued. He’s convinced creative, media and tech supplier will merge into one over the next 10 to 15 years because of the pressures of the marketplace. "But you can’t do it quickly, you break things – you can’t slam these things together." Al-Qassab didn’t really care who thought up what, or how it got produced and delivered – as long as it works: "As a client, I’m looking for fantastic insights, I’m looking for amazing ideas, I’m looking for brilliant understanding of customers and their journeys. I’m entirely neutral as to where things come from in an agency. It’s no longer the domain of one piece of an agency group or another to come up with those things. Anyone can come up with them, because everyone’s got access to the data – even the creative agencies." David Patton, president and CEO at Grey suggested it’s not as simple as adding data insight into the creative mix: "We need to bring data sciences into the creative process, but we also need to bring media planning into the process. It needs to be further up the food chain." "Our creative people are still sitting in silos," said Mark Read, global CEO at Wunderman. "It is about recognising that’s changed, and also how we bring people together in a more fluid way. We have to not let our own organisational barriers get in the way of that collaboration." With this talk of collaboration and convergence, Al-Qassab sounded a note of caution: "People have said that marketers nowadays are a combination of art and science. I don’t subscribe to that. The marketing community needs to combine art and science – but we need some people who are real artists and some people who are specialist scientists, and some people in the middle, integrators who have a foot in both camps." Where next for creatives in digital advertising?